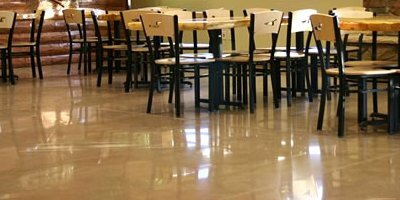 Epoxy Flooring System installed in restaurant. Epoxy Plus is an Epoxy Flooring Contractor specializing in industrial strength floor systems. For a consultation or estimate, contact us. Make sure you meet and exceed your usage and industry's requirements for industrial floor coatings and solutions. Hire a certified & qualified epoxy flooring contractor. We're certified and qualified epoxy and floor coating contractor for all major brands, including Dur-A-Flex, BASF Chemicals, Key Resin Company and more. Dur-A-Flex - Family owned manufacturer of high-performance, resinous floor and wall systems. With over 50 years in business. BASF Chemicals - Comprehensive selection of raw materials for highly demanding paints and coatings. Key Resin Company - Solutions that deliver lower lifecycle costs, outstanding durability and overall performance. Pacific Polymers - Single-source, worldwide supplier of deck coating, roofing, and moisture barrier systems. ERS Systems - Epoxy resin and urethane coating systems, engineered in the USA to the very highest standards. Polycoat Products - Polyurea Polyurethane coatings and elastomers, backed by professional Research and Development practices. Aquafin Waterproofing - products to repair, protect, waterproof and vaporproof concrete, masonry, brick, and stone substrates. Desert Brand Products - Deck coating systems,concrete sealers, and Kryton’s Krystol® waterproofing systems. Make sure you meet and exceed your usage and industry's requirements for commercial floor coatings. With informed and high standards, We can help you with that. We're a certified and qualified Epoxy Flooring Contractor and an Epoxy Flooring Company with Informed, High Standards. Get started with a competitive, professional bid from an Epoxy Contractor. Contact us for a consultation and free estimate.